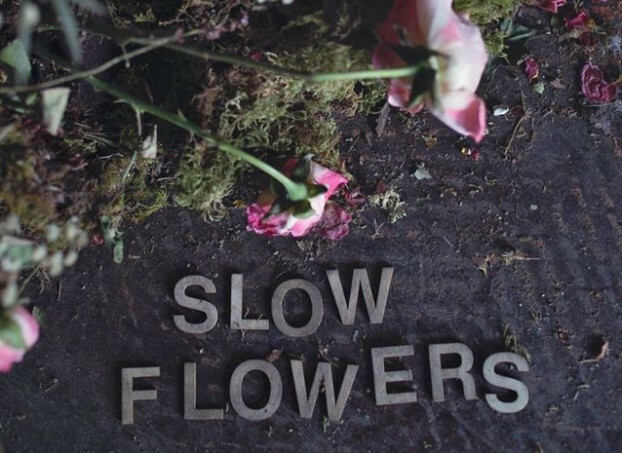 Welcome to the final Slow Flowers Podcast episode of 2015. Every single week this year; in fact, every single week for 2-1/2 years, I’ve had the immense privilege of hosting dynamic and inspiring dialogues with a leading voice in the American floral industry. You’ve heard from flower farmers and floral designers who are changing the marketplace and how we view and consume the flowers in our lives. As 2015 comes to a close, I would like to dedicate today’s episode to the Slow Flowers Highlights we’ve witnessed this year. Next week, on January 6th, I will share my Floral Insights and Forecast for 2016 with you. The past twelve months have built on the successes and shifts that began in previous years. Each time we turn the pages of the calendar to a New Year, we can applaud the strides made in the Slow Flowers movement. I can date my own awareness to the American grown floral landscape to 2006 — that’s nearly a decade ago — when I met a very young mom named Erin Benzakein while I was scouting gardens in Mount Vernon, Washington. She was growing sweet peas and had big ambitions. Something about our conversation resonated with me. I was an established features writer with a huge home and garden portfolio. I’d written countless floral design stories for regional and national publications and yet it had never occurred to me that there was a great imbalance in the way flowers are grown and sourced in this country. At the same time, my writer-pal Amy Stewart was working on a book about the global floral industry’s dark side, which was published the following year called Flower Confidential. She delved deep into the stories behind the status quo, and opened mine and countless others’ eyes to the extraordinary reasons nearly 80 percent of cut flowers sold in the U.S. were being imported. Curious to learn more, I subscribed to Growing for Market, Lynn Byczynski’s newsletter for market farmers. I joined the Association of Specialty Cut Flower Growers and attended my first regional meeting in 2010, held at Charles Little & Co. in Eugene, Oregon, and later that year I went to the national meeting in Tulsa, Oklahoma. I began connecting with flower farmers wherever I could, both in California where I was living at the time, and in Oregon and Washington. I met people virtually, as well, thanks to the ASCFG list-serves where I learned much about the issues facing small farms and American growers. I teamed up with photographer David Perry, who had first introduced me to Erin, and we began visiting flower farms to document their stories. 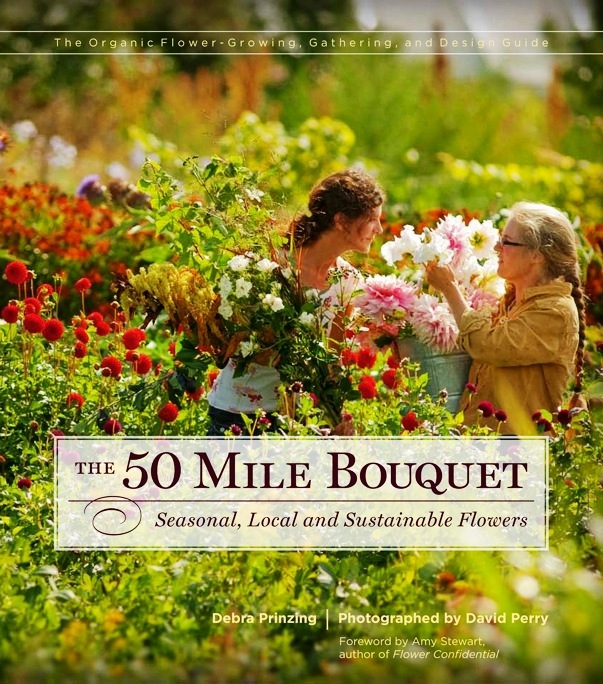 We had in mind a book about this movement, and eventually, Paul Kelly of St. Lynn’s Press, an indie publisher with a focus on sustainable topics, picked up that book and helped us name it The 50 Mile Bouquet. By the time it was published in 2012, I realized that our beautiful little book couldn’t have been possible without all of the people who so generously shared their knowledge with me, inspiring me to get more deeply involved. Surprisingly, I returned to my business writer roots (as a journalist, I had served as a staffer, editor and columnist for Puget Sound Business Journal off and on for a decade from the late 80s to the late 90s). And all of a sudden, I was able to combine my experience as a business writer with my experience as a home and garden features writer, to become an observer of the business of flower farming and floral design. The meaningful stories that occur behind the “pretty flowers” fascinated me. During the five years while working on The 50 Mile Bouquet, I often had to explain what I was doing to fellow writers and friends. I found a shorthand term and I found myself saying, “it’s about Slow Flowers, you know – like Slow Food, but about flowers that are local, seasonal and sustainable.” Somehow that notion caught on and many, not all, but many understood that shorthand phrase when I used it. This was the very first arrangement I designed in early November 2011 when I dreamed up the bouquet-a-week-for-a-year project. I started during the first week of November, 2011. I know, ridiculous, right? But actually, starting out when the garden is going dormant and surviving with this project through Seattle’s wet, cold, bare-bones winter was a good thing. I certainly proved to myself that twigs and conifers are beautiful and that if one is resourceful, creative and observant there are many options for the DIY floral designer who wants to keep things local and seasonal. Maybe it would be a blog series; certainly not a book. But then Paul Kelly and I talked about what I could write after The 50 Mile Bouquet was published, and I told him about this project. He encouraged me to see it through. After I had spent several months making and photographing my designs without missing a week, Paul nudged me into packaging the year-long floral project into a book. But what to call it? Well, “52 Weeks of Local Flowers” was OUT. To Paul, that title sounded like a 1980s self-help book. Paul loved it. And we were on, again racing the deadlines to work with the talented team at St. Lynn”s, including senior editor Cathy Dees and art director Holly Rosborough. The little book was published in 2013 and it blossomed into so much more than a book. Slow Flowers became a movement that propelled the industry’s conversation about transparent sourcing of flowers, about saving America’s flower farms, and about connecting consumers of flowers with growers of flowers. The conversation led to the creation of Slowflowers.com, our directory of flower farmers and florists that launched in May 2014 with 250 listings and has grown to 620 members; that number is growing each day. It also inspired the creation of this podcast, which debuted in July 2014 to reach an entirely new audience that’s reached nearly one-thousand downloads each week. 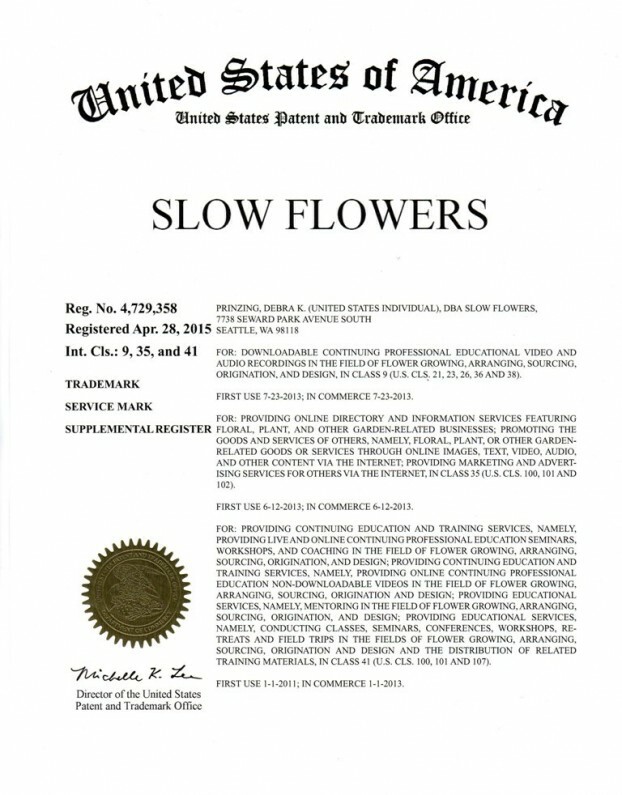 Earlier this year, the US Patent and Trademark Office approved the Slow Flowers trademark. That was a huge confirmation to me that Slow Flowers has become a powerful vehicle for sharing information, inspiring others and stimulating change. As the Slow Flowers Movement gains more followers and more passionate friends who believe in the importance of the American cut flower industry, the momentum is contagious. I know you feel it, too. 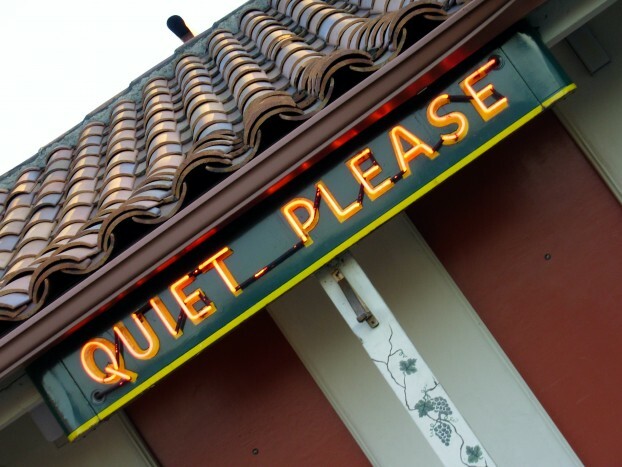 Quiet Please. . . ready for the “highlights”! 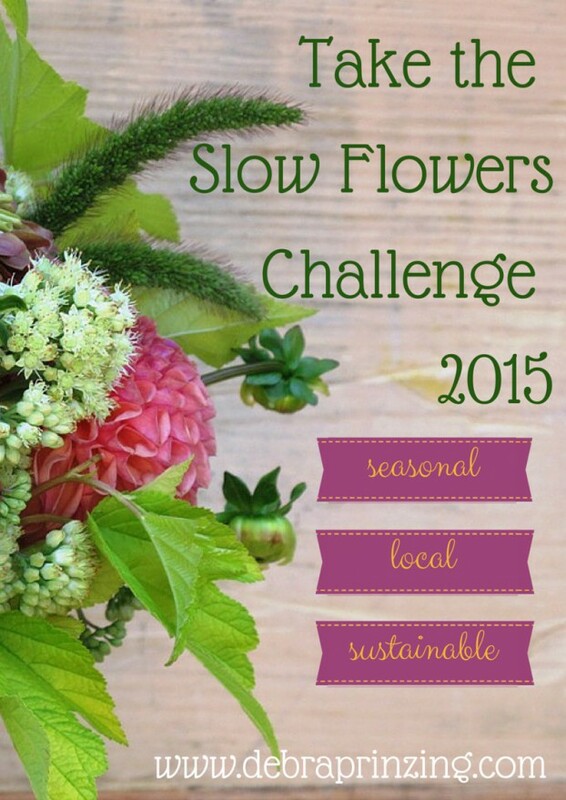 I kicked off 2015 with the Slow Flowers Challenge, an invitation to gardeners and floral enthusiasts to join me in creating an arrangement each week using what they harvested from their gardens or procured from local flower farmers. 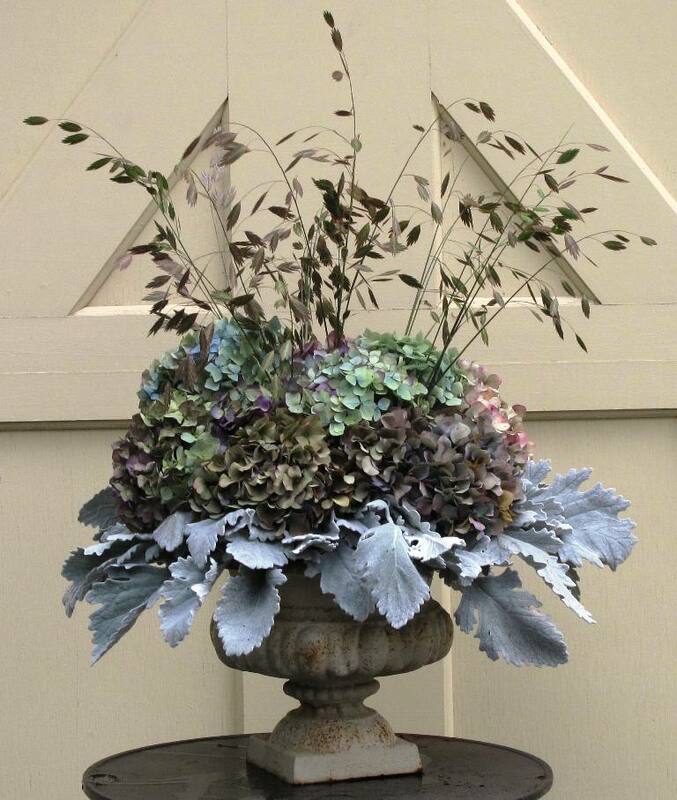 This project was inspired by Katherine Tracy, a talented plantswoman, designer and owner of Avant Gardens Nursery in Dartmouth, Massachusetts. Katherine blogged about taking the “Slow Flowers Challenge” after hearing my presentation at Blithewold Mansion and Gardens in Rhode Island… and in the fall of 2014, she started using #slowflowerschallenge with the photos she posted. That, in turn, prompted other people to create seasonal bouquets, photograph them and share their designs on Facebook, Instagram and personal blogs. Katherine’ artistic arrangements revealed her love of the natural world, the seasons, the plants, the gifts of the garden and wilder places. Her spontaneous effort prompted me to announce and promote the Slow Flowers Challenge as a year-long project to involve everyone who loves local flowers. Hundreds of people joined in, posting and sharing images of their seasonal floral designs on Pinterest and Facebook. I am confident that the Slow Flowers Challenge will continue in 2016 and while I may miss a week here or there, as was the case with my crazy travel schedule last fall, I will never resist the urge to respond to the seasons with a creative gesture of a gathered bouquet. If you’re a member of Slowflowers.com, you’re already aware of the tremendous value gained with your modest monthly subscription. This value was magnified by the media “wow” that occurred before and during Valentine’s Day. With funds raised during the 2014 Indiegogo campaign for Slowflowers.com, I was able to invest $7,500 in public relations services. The PR campaign ran for the five-month period leading up to Valentine’s Day 2015. Thanks to the talents of my longtime publicist Lola Honeybone of MediaWorks Nashville and her colleague Marla Kramer, the Slow Flowers Movement and Slowflowers.com attracted major media attention at Valentine’s Day – on wire services, television, radio, print and blogs. 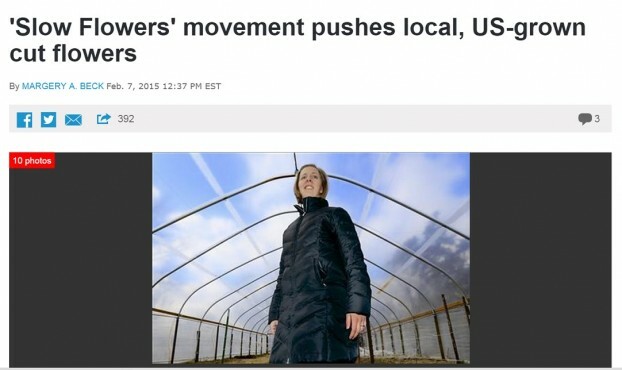 Other major coverage included: “Slow Flowers’ Movement Champions Sustainable Blooms,” by Indiana Public Radio’s Sarah Fentem, which featured Slowflowers.com member Harvest Moon Flower Farm of Spencer, Indiana. “About those flowers you’re buying today; Where did they come from? 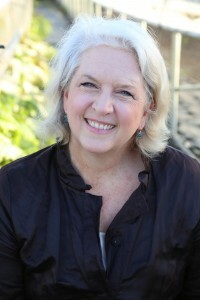 ask Oregon Growers” from Janet Eastman of The Oregonian. Slowflowers.com member Oregon Flowers was featured in this story. “Just in Time for Valentine’s Day: Introducing Farm-to-Table’s Pretty, Flowery Cousin,” by Sarah McColl on the sustainability blog TakePart.com, featured Slowflowers.com member Molly Culver of Molly Oliver Flowers in Brooklyn. Denver Post reporter Elizabeth Hernandez wrote: “Colorado farmers, florists seek renaissance for local flower scene,” featuring Chet Anderson of The Fresh Herb Co.
And Reuters writer P.J. 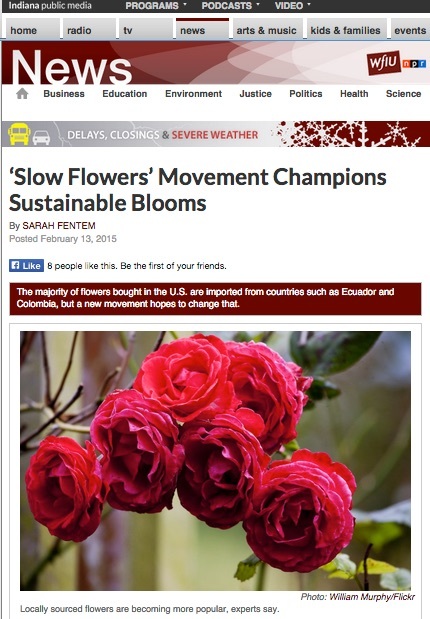 Huffstutter’s piece “Exotic US Blooms Flourish amid roses in Cupid’s bouquet,” featuring the “slow flower” movement. It’s impossible to tally the hundreds of thousands of impressions that came from this great media coverage, but suffice it to say it was the best pro-American grown flowers-V-Day ever. 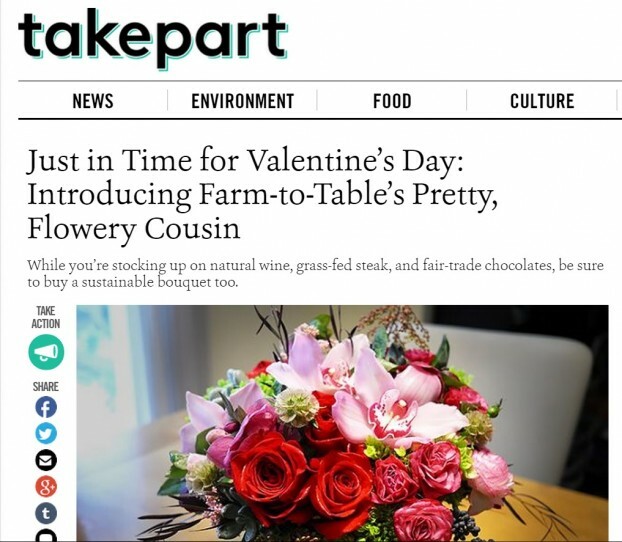 I’m looking forward to seeing what kind of attention is paid to American grown flowers for 2016’s V-Day and I’m certain your presence on Slowflowers.com will enhance the story. Beginning this past March with the first event held inside an orchid greenhouse in Carpinteria, California, and wrapping up on October 16th inside a heated tent at The Flower House in Detroit, Slow Flowers was present at 10 Field to Vase Dinners in 2016. It was an honor for me to join forces with the Certified American Grown brand to produce and host these promotional events in the past year. Slow Flowers was a sponsor of the Field to Vase Dinner tour and I’m especially proud of nine featured floral designers from the Slowflowers.com directory whose creativity defined the look and feel of the Field to Vase Dinner style. I’ve previously highlighted the Dinner Tour campaign in podcasts and blogs, so if you’d like to learn more, you can find those stories at Debraprinzing.com. But I do want to underscore the powerful work that this endeavor achieved. 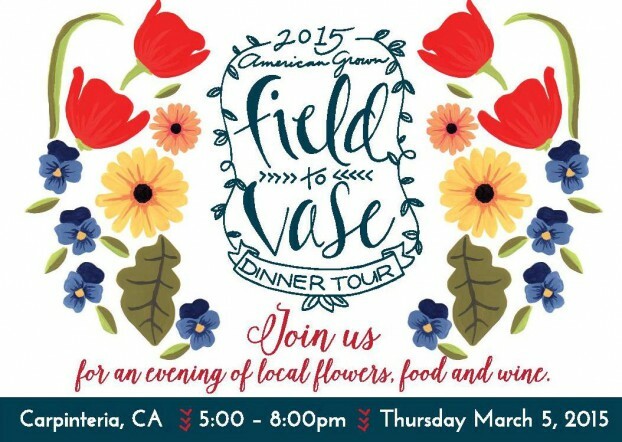 According to the numbers compiled by Adrienne Young who handled social media and marketing for the Field to Vase Dinner Tour, the earned media for the 2015 tour exceeded 102 million impressions and was valued at more than $950,000. That is powerful, folks! The F2V Dinner Tour will continue as a major outreach, advocacy and promotional effort in 2016. Slow Flowers members will continue to be tapped as featured florists and many Slow Flowers farms will host the al fresco meals in flower fields and greenhouses around the country. I’ll be at each venue to welcome you and to share my passion as an advocate for American grown flowers. The locations and dates for the 2016 series will be announced soon, and I promise to share details with you when they are confirmed. I was inspired to create American flowers week after spending time at the Chelsea Flower Show and New Covent Garden Flower Market in London this past May. The team who created British Flowers week, now in its third year, encouraged me to launch American Flowers Week as a social media campaign to advocate, educate and raise awareness about American flowers. It was a crazy, grassroots idea to do this just six weeks after the idea was presented to me, but I’m glad we went ahead and created a web site called Americanflowersweek.com. 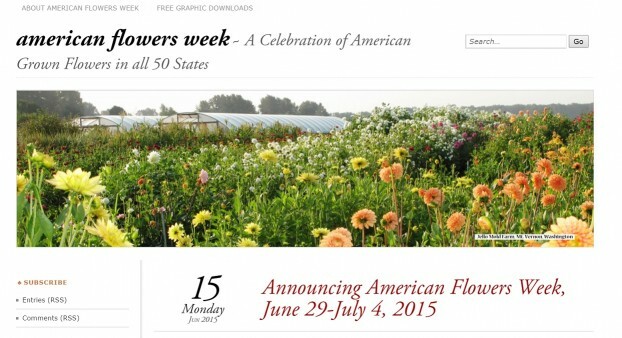 The site launched in mid June and asked the Slow Flowers Community to post photos of red-white-and-blue flowers and designs on Twitter, Instagram and Facebook using the hashtag #americanflowers week. The one-week campaign encouraged everyone involved in flower farming and Floral design to get involved and draw attention to the cause. Their enthusiasm and efforts paid off in measurable ways. In a one-month period encompassing American Flowers Week, we generated more than 400,000 mentions on Twitter and Instagram alone. In October, we celebrated the opening of Lisa Waud’s Flower House, a 100-percent magnificent celebration of American grown flowers as a living, blooming, fragrant floral art installation inside an 18-room abandoned home in Detroit. In the weeks since the doors of Flower House have closed to the public, I’ve continued to feature interviews with the designers who were involved – and more of those conversation will appear in future podcast episodes. It was a huge honor to support the Flower House and to act as an occasional advisor to the team, helping connect Lisa and the other designers to the Certified American Grown brand, and to vicariously experience that wild ride. 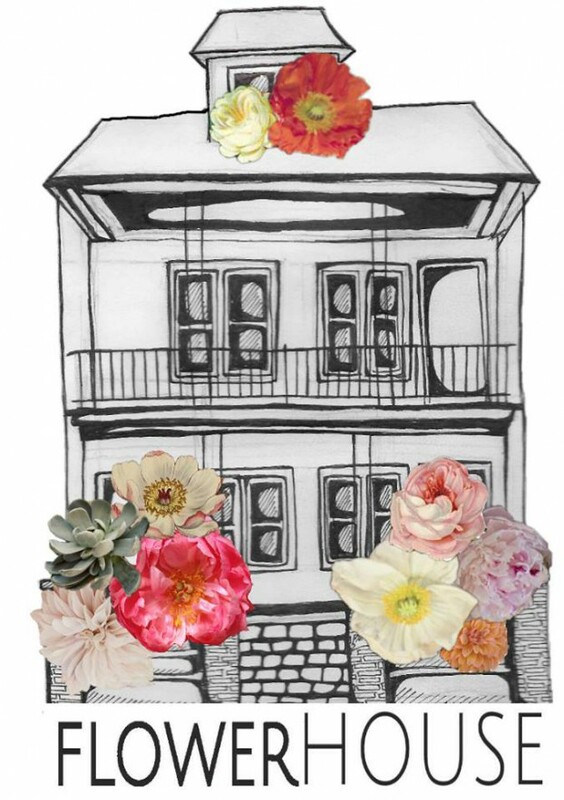 The Flower House was a truly original imaginative endeavor. It symbolized the power of the maker, the farmer, the artist; the hands, hearts and minds of those who honestly embraced the story of the flowers that inspired this creation. To me, the number one message of Flower House is of interdependence. Flower farmers need floral designers; floral designers need flower farmers. This major shift in the industry was magnified by the Flower House, yet another chapter in the ongoing story that involves each of us. Yes, here we are! 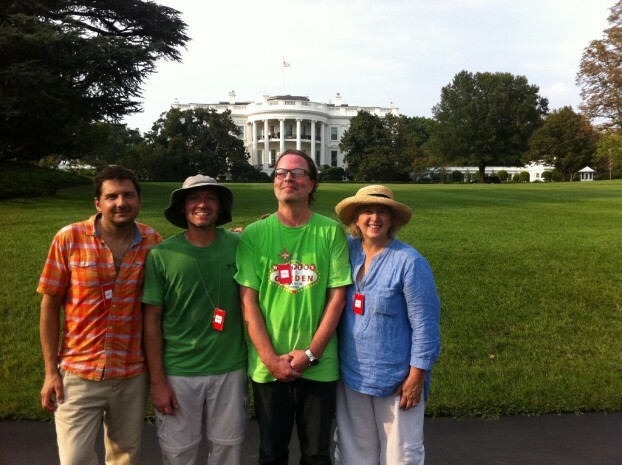 Bob Stefko (photographer); Nick Crow (art director); James Baggett (editor) and me — after our whirlwind 2-hour photo shoot at the White House Kitchen Garden! As a business name, “Slow Flowers” also includes my professional projects, including producing and hosting this weekly podcast and managing the Slowflowers.com web site. Media source. While I consider myself a member of the media, I am often asked to provide commentary to other media outlets and journalists. When the subject is American grown flowers, I am happy to comply. In the past year, I’ve been interviewed by and quoted in outlets ranging from Sunset magazine and Garden Design magazine to the New York Times, the Washington Post, the Knot, Associated Press, as well as on television and radio. Each opportunity is highly gratifying and raises awareness for American grown flowers. Speaking and teaching. I’ve been on the road a lot this year. In addition to speaking at all 10 Field to Vase Dinners this year, I’ve lectured and taught about Slow Flowers in the U.K., at Disney’s Epcot International Flower & Garden Festival, at art museums in Minneapolis, Indianapolis, San Francisco, and at many other venues across the country. Those opportunities introduced me to hundreds of new audience members who eagerly received the Slow Flowers message. Many took hands-on floral design classes to experience the creative joy of arranging locally-grown flowers from their community, and I’m confident that each student has a newfound point of view when it comes to flowers. Writer and producer. I continue to work as a freelance story producer and writer for some of the major gardening publications, including Country Gardens, Garden Design, Sunset and others. This year, those projects took me all over the country – to public and private gardens, to prolific flower farms, and into the studios of floral designers and artists. Each experience has been inspiring and allowed me a chance to reach a wide audience. As much as I adore this work, there was one destination in 2015 that is above and beyond the most memorable. On September 1st, I was part of the Country Gardens magazine creative team given full access to the White House Kitchen Garden. Working with my editor James Baggett, art director Nick Crow, and photographer Bob Stefko, we captured the First Family’s kitchen garden for the pages of Country Gardens. Those bountiful and beautiful images will accompany my story this spring. Clearly being allowed to enter the White House grounds and spend time with my CG colleagues was one of the biggest “gets” for my professional bucket list. I promise to share the final story with you in March when it’s published. Before closing, I want to thank the many wonderful guests who have appeared on the Slow Flowers Podcast this year. Their generosity of time and talents inspired me greatly, and I know our listeners were equally motivated to respond to our conversations. My hope is that you can take one compelling idea or suggestion and adopt it for your own floral business. Your podcasts have made such a difference on my life and on my business. I’m excited to see what’s in store for us this coming year. Since listening to your podcast I’ve seen a drastic change in how i choose and purchase flowers. Before i would make my selections primarily on aesthetics and budget, but now I have become much more conscious about choosing american grown if not local. This year I plan to create some literature on choosing local so that our clients will request that we purchase locally whenever available. I’ve learned over the years that many brides come to us with little to no flower knowledge and so it is up to us to educate them on exactly what they are purchasing. WOW, all I can say is that when I hear from people like Moira, and others in the progressive American-grown floral community who supporting this endeavor, I feel so honored. I also need to acknowledge and thank a few of the essential people in my life who made this year a personally rewarding one. First of all, thank you to my husband Bruce Brooks for his unwavering support of all my Slow Flowers endeavors. He is my financial and strategic advisor and I would be pretty lost without him. Next, my close colleagues with whom I spent so much time producing this year’s Field to Vase Dinner Tour, including Kasey Cronquist, Kathleen Williford, and Adrienne Young and her team. They are each as driven and focused on this journey as I am and I’ve come to rely deeply on them all. I also have to give a shout-out to the amazing staff and my fellow board members of the Seattle Wholesale Growers Market. So much that I now know about the art and science of flower farming and flower marketing comes from these incredible human beings. And finally, I have to thank my floral BFF Christina Stembel of Farmgirl Flowers. Everyone needs that true blue friend who, despite being incredibly busy in every second of her day, is there to shoot me a quick text, or better yet, schedule a phone date. Christina’s laser focus is as inspiring as her huge heart and complete integrity. And I’m so grateful she’s my friend. We’re closing up the year with more than 76,000 downloads of the Slow Flowers Podcast. Until next week, you’re invited to join me in putting more American grown flowers on the table, one vase at a time. And If you like what you hear, please consider logging onto Itunes and posting a listener review. THANK YOU to each and every one of you for downloading, listening, commenting and sharing. It means so much. The Slow Flowers Podcast is engineered and edited by Andrew Wheatley and Hannah Holtgeerts. Learn more about their work at shellandtree.com. This entry was posted on Wednesday, December 30th, 2015 at 10:48 am	and is filed under American Flowers Week, American Grown, Blog Posts, Creativity, floral design, Flower Farming, Gardening, General, Slow Flowers Challenge, SLOW FLOWERS Podcast, Slow Flowers: 52 Weeks, Slowflowers.com the Directory of American Flowers, Writing. You can follow any responses to this entry through the RSS 2.0 feed. You can leave a response, or trackback from your own site. It is January 1, 2016 and my first read on this new morning is your eloquent blog celebrating a year in flowers, 2015. I have come home to Chile for a month where I first filled our wooden house with straight bunches of fresh flowers from the street market: pink Queen Elizabeth roses, golden alstromeria, long stemmed red ixia, and from our garden a jug of mixed mints and scented geraniums. Were I in Ashland, Oregon where our flower farm rests under a welcome coat of rich snow, we’d have mixed twigs and berries on the dining room table, just as you and Constance Spry so wisely advise. Constance Spry was my first flower muse. 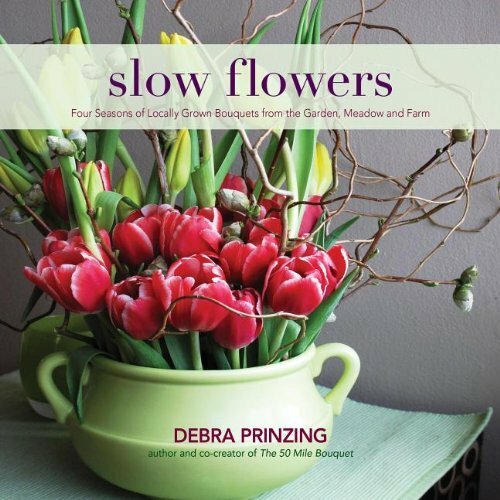 Then came you, Debra Prinzing, you who through your dedicated work have enriched beyond measure my life as a flower farmer. You make us growers feel relevant, you carry the flag for in season flowers, you advocate for a life with fresh flowers, and you make a difference.